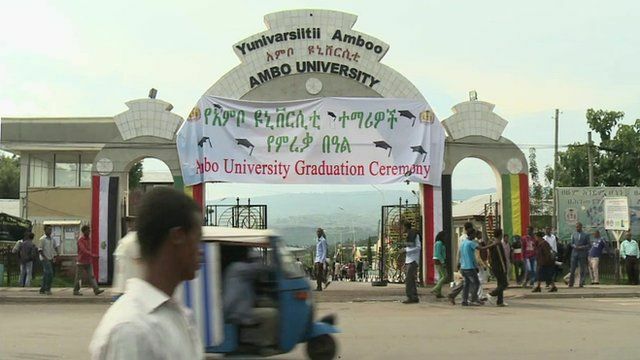 Anger over deadly protest in Ethiopia Jump to media player BBC News gains rare access to Ambo in Ethiopia where deadly protests took place. African diaspora who call US capital home Jump to media player As many as 250,000 Ethiopians live in and around Washington DC, more than in any urban area outside of Addis Ababa itself. How is the community fitting into American society? 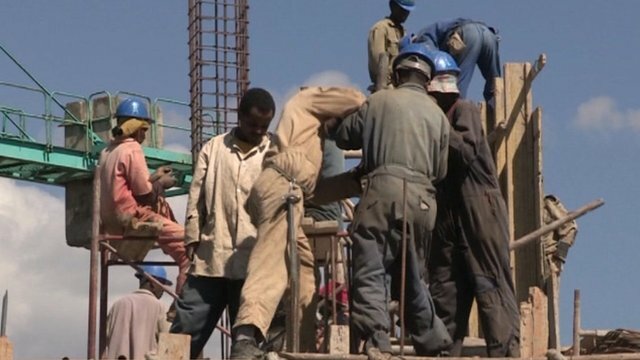 Ethiopia's fast growing economy Jump to media player Blighted by drought and famine, ongoing border conflicts and claims of political oppression, that is the side of Ethiopia we hear most about. Ethiopia's renewable energy revolution Jump to media player In Ethiopia the government has recently announced major deals that should massively increase the amount of electricity generated from renewable resources. A plan by the Ethiopian government to expand the capital's administrative control into neighbouring states has sparked months of student protests. Security forces have been accused of cracking down on demonstrators in the region of Oromia. The government says 17 people died in the violence, but human rights groups say that number is much higher. The BBC's Emmanuel Igunza has gained rare access to the town of Ambo where the protests took place.